The Willowgrove neighborhood boasts incredible Silverthorne, CO real estate with various home types throughout. Located nearby the serene Blue River, paved Recreation Path, Willowgrove Open Space and Willow Pond, there are many opportunities for year-round recreation. Willowgrove hosts a total of 75 Silverthorne properties. There is 1 vacant lot, 40 duplex units, 17 single family homes, 9 triplex units and 8 townhome units. Property ages range from 1979 to 2009 and acreage ranges from 0.06 to 0.44 acres. Open space in Willowgrove is located at the end of Mesa Drive in Silverthorne. The Blue River Trail passes through the open space, which is also the location of the Tammy Lynn Jamieson Memorial Bridge. Other amenities include a small pond with walking trail, restrooms, horseshoe pit, picnic tables, a gazebo, and public parking. 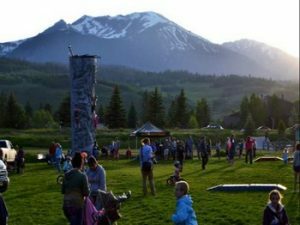 Silverthorne boasts 6 parks, the Silverthorne Pavilion, a beautiful venue for the community and visitors alike, plus a bustling year-round community with shops and restaurants and multitudes of recreational activities. For additional information about homes for sale in Silverthorne Colorado, new developments or market information in general contact Justin and Krystal Knott with LIV Sotheby’s International Realty.